The risk of not implementing an adequate revenue model, which jeopardizes the service’s success or even its survival (Amit & Zott, 2001; Chesbrough, 2007a; Teece, 2010). One famous example is Google Health, a service that gave people access to information on their personal health and wellbeing status, but that was discontinued due to the lack of impact (Brown & Weihl, 2011). One reason for the absence of success was that certain business model related questions weren’t addressed in the first place, such as “who are the customers?” and “what do they need and value?” (Mora, 2012). Accounting for all business model related factors while designing business models for an e-health service is of course not trivial: The healthcare industry is highly regulated – consisting of many local health regulations – and has therefore many stakeholders that need to be considered to ensure economic viability (Mettler & Eurich, 2012). This chapter has the goal to further elaborate on business models and to apply this concept to the e-health domain. Since businesses in the e-health area usually have to deal with different interrelated customer groups, a specific focus is put on so called multi-sided business models. Moreover, the specific challenges for business models in the healthcare industry are considered. In this sense, “E-Health Business Models” has on the one hand theoretical implications as it extends the existing business model literature by applying the business model concept to the e-health area. On the other hand, the chapter has practical implications as practitioners are supported in creating viable business models for their specific e-health business environment. The term e-health usually refers to Internet-based activities, such as Web 2.0, in the healthcare context (van Limburg, et al., 2011). Oh et al. (2005) conducted a literature review in which they identified common patterns in over 50 definitions of the term e-health, e.g. (1) e-health involves health activities as well as technology, (2) technology is both the enabling tool and the embodiment of e-health, and (3) e-health often involves a variety of stakeholders. 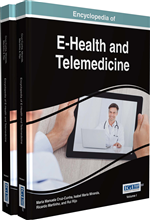 Due to advances in technology a multitude of e-health services can be offered. However, most of these services result in a failure as financial viability, relevant stakeholders, service consumption and organizational issues are not considered (Fielt, Huis In’t Veld, & Vollenbroek-Hutten, 2008). This is the point where business models for e-health services can help as they are concerned with covering all relevant parties as well as their interrelations to (co)create, deliver, and capture value (van Limburg, et al., 2011). E-Health Business Model: An e-health business model is the rational of how a health-related organization creates, delivers, and captures value, whereas value can be monetary or non-monetary. E-health business models are usually multi-sided, as they involve several interrelated customer groups, such as doctors, hospitals, patients, insurances, etc. Moreover, these business models have to consider the characteristics of the healthcare industry, e.g. the (country-specific) regulations. Multi-Sided Business Model: A multi-sided business model brings together two or more distinct but interdependent groups of customers. Value is only created if all groups are attracted and addressed simultaneously. The intermediary generates value by facilitating interactions between the different customer groups, whereas the value increases when more users are attracted. This phenomenon is known as the network effect. Revenue Patterns: Revenue patterns illustrate common ways of designing revenue mechanisms in practice. Even the most innovative services apply existing revenue mechanisms or a recombination of them. Therefore, the pattern approach supports the reuse of proven knowledge and guides business model development.